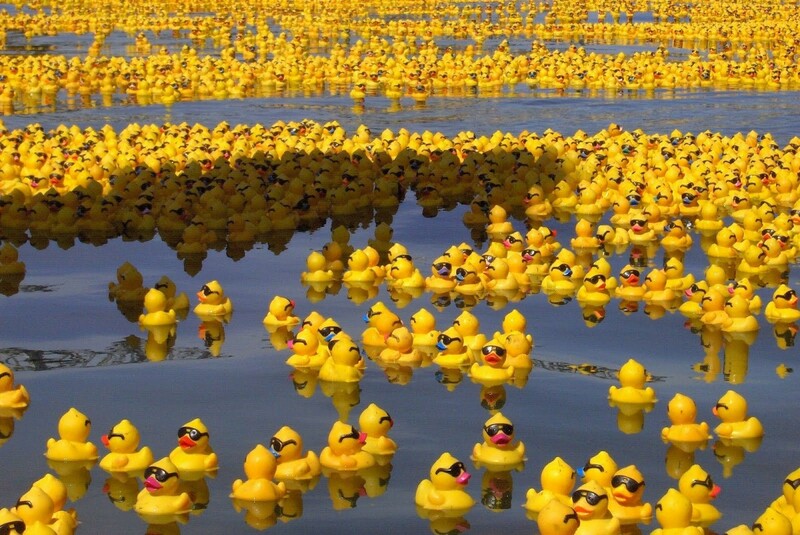 Who’d have thought so much excitement could be had from sending a flurry of floating ducks down a river?! Well, thousands of people turned out to do just that in Easton recently. It must have been the possibility of a £100 prize for the winning duck that brought the crowds … or perhaps it was the sunshine and the prospect of a lovely day with family and friends on the banks of the River Itchen?! Or then again, maybe it was the idea of fundraising for a good cause … Who knows, but a fun time was had by all!